I have been training for just over four months. I'm really enjoying the challenge of learning new techniques along with great instructors and a good bunch of people. I would recommend to all. I started training BJJ in November 2011 because I needed a new challenge as well as physical fitness. Quite a few people I knew were doing MMA and Jiu Jitsu in NZ and Oz, so I thought it must be a good thing. The hardest part was walking through the door for the first class but everybody I have met so far has been really helpful and friendly. I got my Blue belt awarded to me In March 2014 which I couldn't have done without the team at Zero Gravity. There is always something to learn no matter how basic the technique and all of the team help to add the details and keep you motivated. Everyone has something of their own to add even if its a minor detail, this is why I still train today it is always evolving with great guys and girls alongside you it never gets boring and I always have a good laugh when I make a mistake usually just before I get submitted. Andrew is a top coach who has great attention to detail and if you ever get stuck will work with you to get you back on track. Through BJJ I have had the opportunity to train with Rigan Machado and john will who are top level guys that are equally as friendly and chilled out. 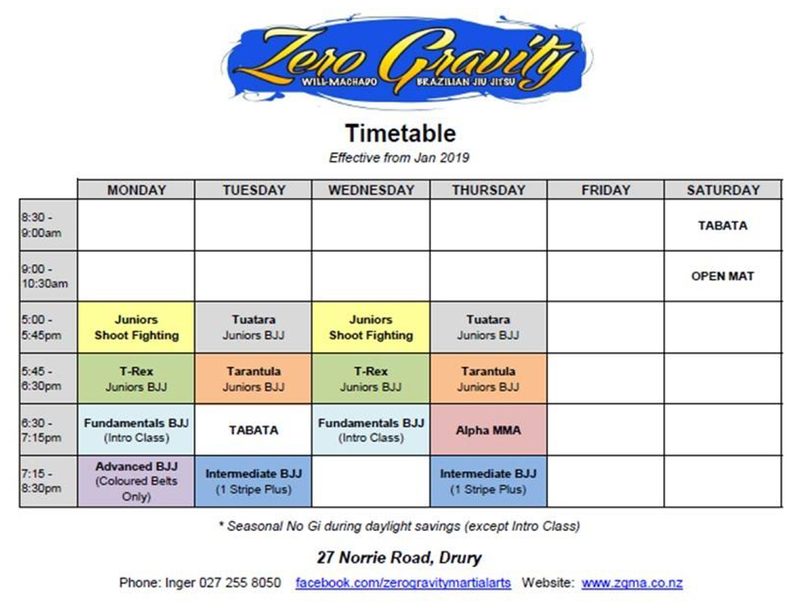 I would recommend training at Zero gravity if you like a challenge and want to be part of a great team with great coaching and support. Take the first step we aren't there to beat each other up but to learn.